Location: Landhuis Bloemhof, Curaçao. Dutch Caribbean. Time: Tuesday till Saturday: 9 AM - 2 PM. 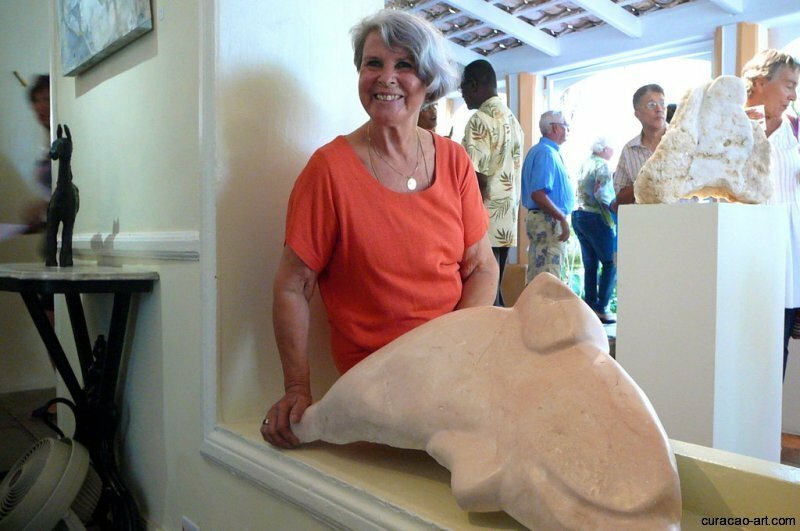 The new art exhibit of Brigitte Wawoe (Germany, 1939) in Curaçao is titled ‘Le Carnaval des Animaux’. 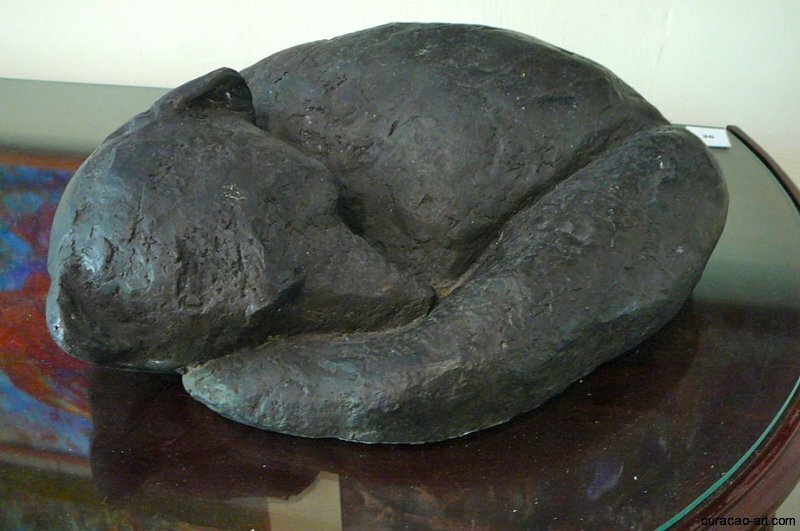 This time the art gallery of Landhuis Bloemhof has been taken over by artworks of animals. 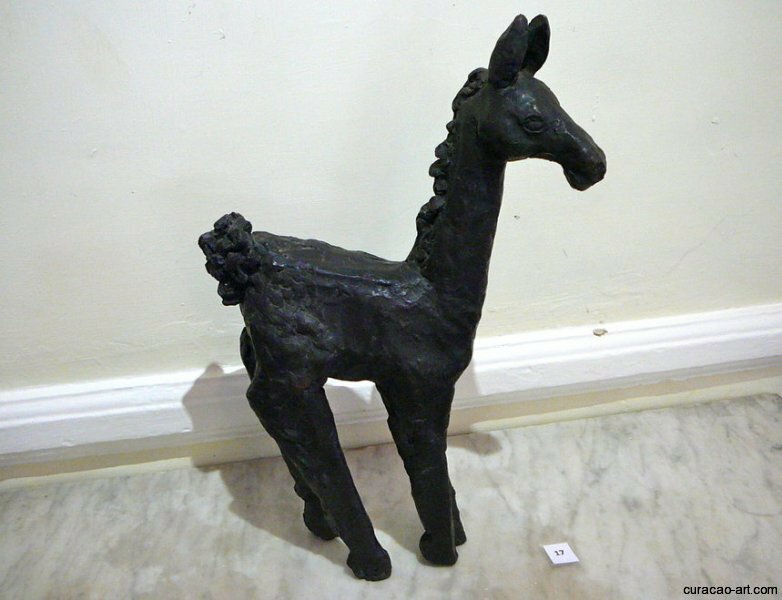 Marble elephants and dolphins, bronze horses and a crystal lion together with paintings of swans, flamingo’s and more, are all brought together in a harmonious art show. 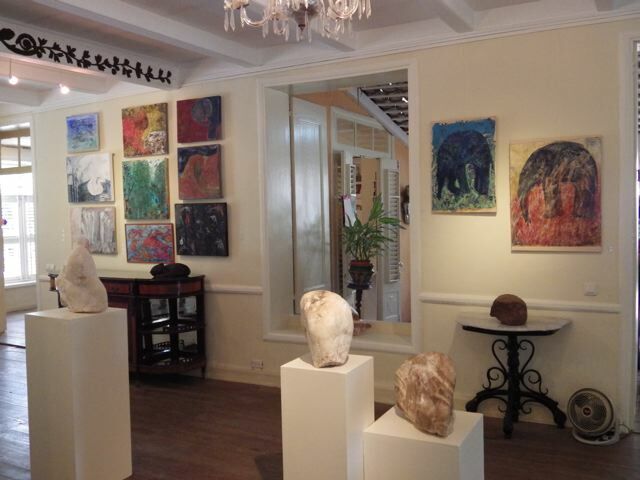 With this new exhibit Brigitte Wawoe once again proves her artistry, craftsmanship and flair. 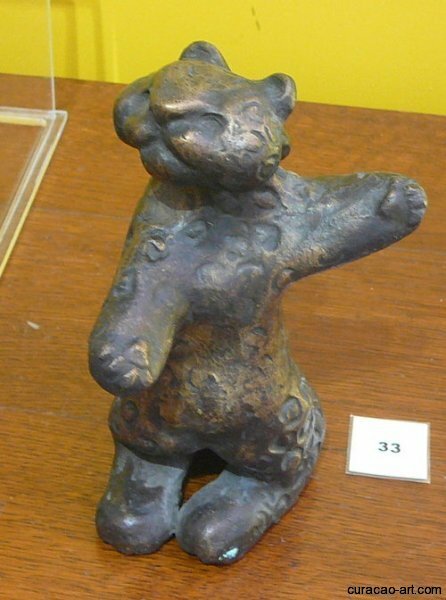 The title ‘Le Carnaval des Animaux’ refers to the famous composition of Camille Saint Saëns from 1886 in which various animals are portrayed by music. Pictures below were taken during the opening on March 2nd, 2013. The opening took place on saturday morning at 11 o’clock in the presence of acting Governor Mrs. Adèle van der Pluijm- Vrede. Many collectors and art lovers attended the opening act. Mrs. Birte Møller-Jensen did the opening words and introduced all the guests to the new works of Brigitte Wawoe. She explained the various art pieces on display and charmed the audience by presenting them with the accompanying music by Saint Saëns for each animal. 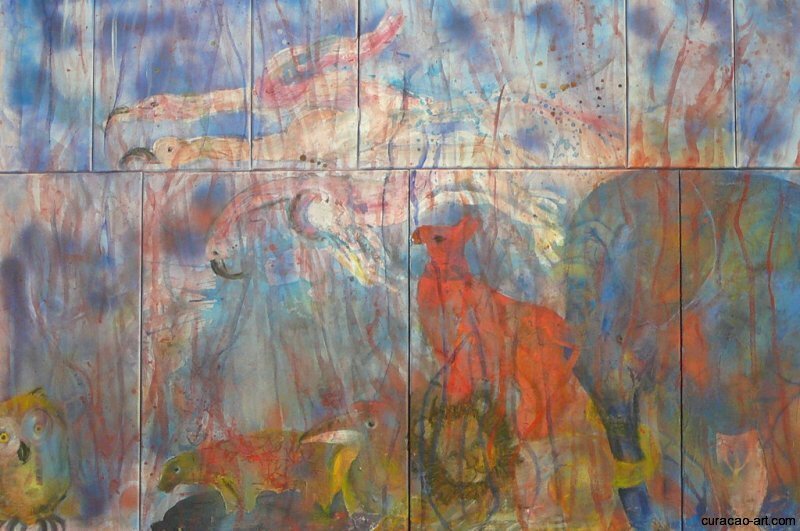 The 81 works of art by Birgitte Wawoe can be viewed at Landhuis Bloemhof till March 30, 2013. Brigitte will be at Landhuis Bloemhof on Tuesday, Thursday and Saturday mornings (till the end of the exhibit). Brigitte Wawoe lived in Curaçao from 1967 till 1978. 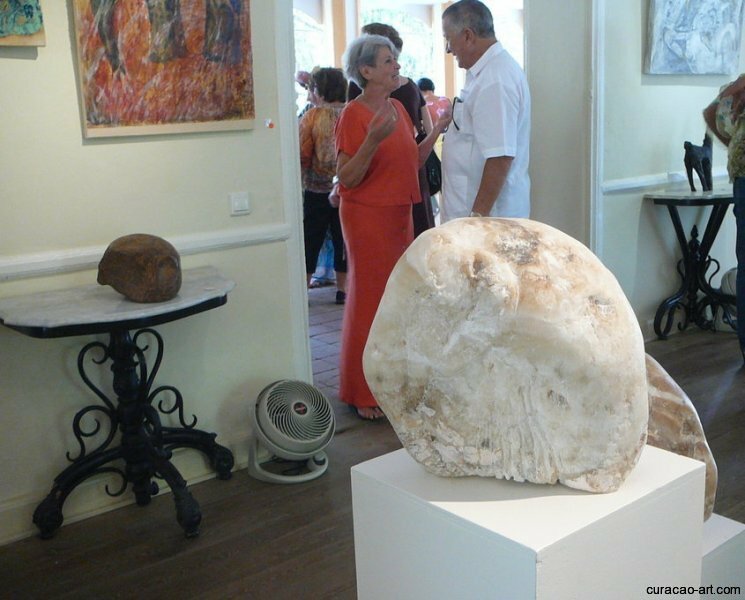 At present she is residing in The Netherlands, but returns to Curaçao every year for two months to work and sculpt at the quarry at the Tafelberg. 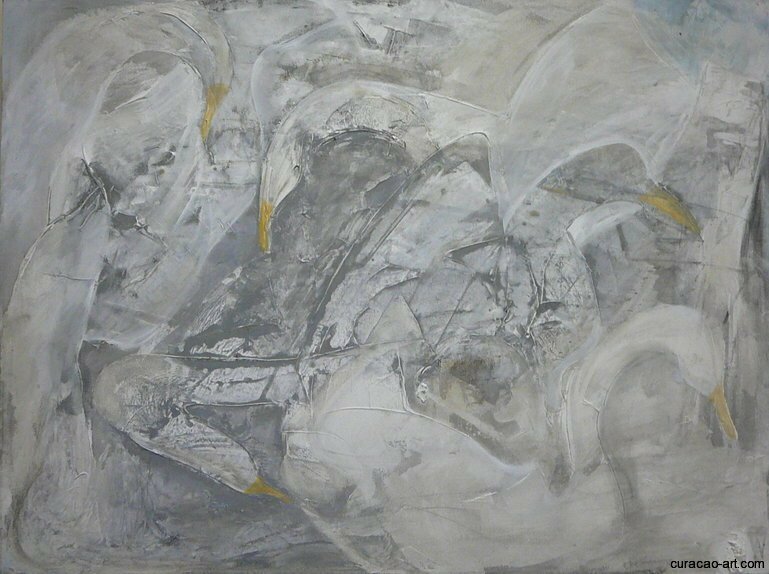 For the past decade she has exhibited every three years at Landhuis Bloemhof and before that her work was sold at Gallery 86. 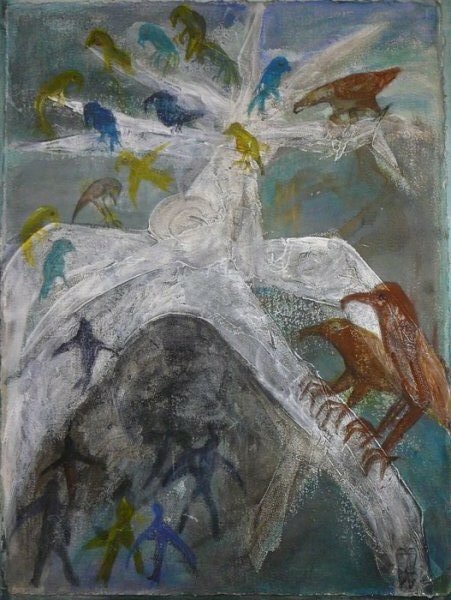 Former exhibits by Brigitte Wawoe at Landhuis Bloemhof are the solo exhibit ‘Metamorfose’ (Metamorphosis) in 2003; the group exhibit ‘De Vrouwen van de Berg’ (The Women of the Mountain) in 2006; and ‘Ladies & Birds’, together with Ukki Ukleya, in 2009. Landhuis Bloemhof is located at the Santa Rosaweg 6, Curaçao, Dutch Caribbean. Click here for a video of Le Carnaval des Animaux by Camille Saint Saëns.